Franchise Agreement Costs - How Much Does it Really Cost to be a Franchisee? Franchise Agreement Costs – How Much Does it Really Cost to be a Franchisee? The primary reason for the franchise arrangement is the increased net profit for the franchisee in using the franchiser’s name, logo, brand, or trademark. The franchiser charges an upfront fee called a Franchise Fee, monthly Royalties, in some agreements a License Fee and Marketing/Advertising minimums. These additional costs to the franchisee are paid to use the franchiser’s name. So how much does it really cost the franchisee to use the name, logo, brand, or trademark? This article uses the contribution margin formula to evaluate the additional sales required for each of the four costs associated with owning a franchisee. The cumulative total is evaluated for the potential franchisee to discern how much more work is involved before the first marginal dollar is generated on the bottom line to end up in the pocket of the franchisee. Remember the primary purpose of the franchise relationship is making additional dollars for the franchisee for using the franchiser’s name, logo, brand or trademark. This article is detailed and will follow several steps in analyzing the costs associated with owning a franchise. Each section is designed to aid the reader in evaluating the costs associated with owning a franchise. I suggest that with each section, you enter your information into a spreadsheet and the final summation will be calculated for your particular situation at the end of this article. Finally, if you are still having trouble with this, contact me via e-mail, dave (use the standard symbol) businessecon.org. It usually takes me a day or two but I do respond. Give me the particulars and I’ll insert the information into my spreadsheet and we’ll talk. The first term for a franchisee to understand is ‘contribution margin percentage’. This is the raw percentage of the net sale (Sales less discounts, coupons, and returns). For additional information in understanding this term, read: Definition of Contribution Margin. For the purpose of this article, I am going to compare two sub shops. 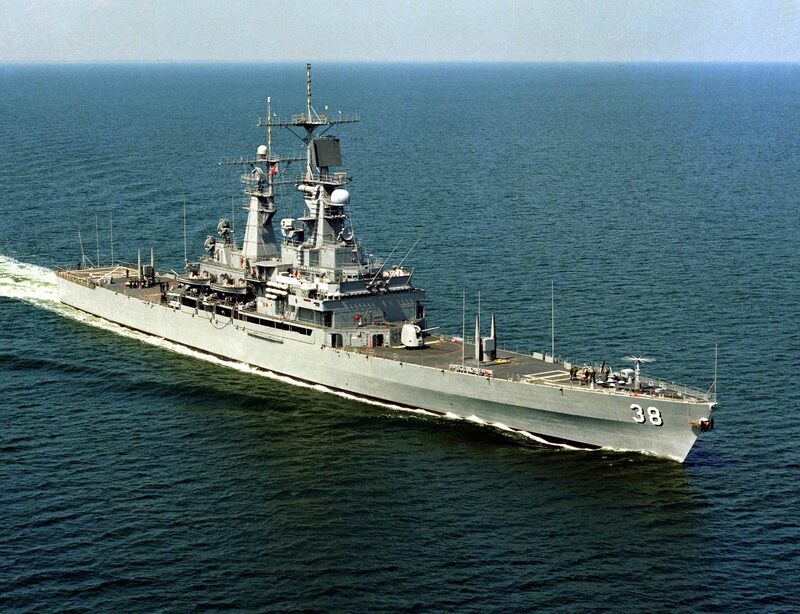 From the above example, the Gross Profit is the dollar amount of the Net Sales less costs for food, drink, supplies, labor and other direct costs to serve the sub sandwich. If your store is similar in size and similar requirements, then you too must generate at least $125,800 of profit to offset the similar overhead costs and end up with a similar net profit. This article will illustrate how much more in net sales you must generate to offset the additional costs associated with owning a franchise. Remember, there are four additional costs with owning a franchise and they are 1) The Franchise Fee (entrance fee), 2) The Royalty (a monthly percentage of sales or net sales depending on the agreement), 3) Licensing Fee and 4) Marketing/Advertising minimums or costs (usually a percentage of sales). For an understanding of these costs, read Franchise Agreement Terminology . If you are trying to evaluate your franchise, the franchiser should have historical information identifying the contribution margin percentage from net sales. This is your starting point in following this analysis in evaluating your personal situation. For the owner of the national franchise store to earn the same bottom line amount of $48,000, we must make some assumptions to complete this exercise. The Franchise Fee is $25,000 and is amortized over seven years (Read: What is Amortization? for a better of understanding of this business concept). The following sections identify the respective franchise agreement cost and illustrate how to monetize the cost in additional sales. The Franchise Fee is an upfront cost paid by the franchisee for the right to enter into an agreement with the franchiser. In effect, it is compensating the franchiser for generating the legal documents and complying with federal and state laws. Often this fee is more than $10,000 and rarely more than $50,000. The fee is recovered over the life of the agreement via amortization. In most situations, a period of seven years is used to recover the fee unless the contractual agreement is less than seven years. If less than seven years for the contractual period; then the fee should be amortized over the lesser period of time. In most businesses, the amortization is divided equally over the amortization period. For this fee, I am assuming seven years for a $25,000 fee. So, the annual amount to recoup is equal to $3,571. As a franchisee, you must understand that this amount of money is to reimburse you for your initial outlay for this agreement. It is a return on your initial capital investment into this franchise. The Mom & Pop competition did not have to pay this fee. Therefore, you must generate this additional amount via marginal dollars from the contribution formula. This is the additional net sales required to reimburse you for one year’s worth of amortization of your up-front franchise fee. So, right now, the Mom & Pop store only needs gross sales of $365,000 and your franchise needs at least $378,229 to end up in the exact same financial condition on the bottom line. I will go further and argue that in addition to the amortization value of the franchise fee, you should also compensate for the cost of the associated capital you used at a reasonable rate of return on that capital borrowed (whether you borrowed it from yourself or from family) of 7%. Therefore, to cover the first year, an additional interest value of $25,000 times 7% equals $1,750. So in the aggregate, you will need to have a contribution margin of $3,751 plus the $1,750 or $5,501 to make you whole again (put you back in the same financial condition prior to the agreement). Therefore using the formula from above, your additional net sales required to generate additional net contribution margin of $5,501 equals $20,375. This number decreases each subsequent year due to interest on a lower unamortized value. So in year two, the franchisee only needs to cover the $3,751 of amortization of the franchise fee plus interest of 7% on the remaining unamortized balance of $21,249 ($25,000 – $3,751 – year one of amortization). This equals $3,751 plus interest of $1,487 or $5,238. So; net sales in year two needed to cover the franchise fee and interest equals an additional $19,401. To check your math, the difference between the two years of additional net sales equals $974. This $974 means a royalty and marketing/advertising fee of 10% or $97. The cost of food and beverage associated with the $974 is 63% or $614. Therefore the remaining contribution margin is $263 ($974 less $614 CGS & $97 royalty/marketing). This is the difference in the amount of interest needed between the start year and the second year of business ($1,750 in year one and $1,487 in year two). Over the seven year period, the additional sales required drops from the year one amount of $20,375 to the final year amount of $14,867. You may think that this is a lot of additional sales needed and you are right. Think about this for a moment, assuming you are open 360 days a year, the per day amount of additional sales to cover just this one franchise cost equals $46. If you sell your sandwiches for $6 each and the customer spends on average $7 in your store per visit, you will need an additional 8 customers per day over the Mom & Pop store. This may seem unrealistic already, but wait until you see how many more customers per day you need to cover the royalty percentage. In general most franchisers charge a royalty percentage on all sales. Many of the contracts charge a percentage on a sale value prior to discounts or coupons. So it is important for the franchisee to understand his franchise agreement prior to signing the agreement. Many franchises require franchisees to participate in monthly discount programs such as BOGO’s (Buy One Get One Free) or national discount periods for certain products. In addition, some franchisers require the royalty payment based on the gross sale before any coupon reductions. For the purpose of this franchise agreement cost, there is no assumption of a discount on the sale so in effect; gross sales will equal net sales. The royalty percentage in this situation is 6% of the net sale. To compare required sales, the franchisee needs to have an additional 6% in sales. But this additional 6% of sales has food and labor costs too at 63% ($214,200 divided by the net sales of $340,000 from above) So the final additional amount required is 6% divided by .37 (one minus the 63% food, labor, beverage & supplies cost) or 16.22 %. So, required net sales for the Mom & Pop is $340,000, therefore for the franchisee, he will need sales of $405,825 [$340,000/(one minus 16.22% or 83.78%)]. To end up on equal footing, the franchisee must sell an additional $65,825. At $7 per customer and using a 360 day year, you will need an additional 26 customers per day to cover the royalty percentage at 6%. In some franchise agreements, the franchiser charges a license fee or some other charge to use the logo, trademark, or copyright. This fee is assessed because it is possible that the franchiser has to pay some third party for the right to use the trademark, logo, patent, or copyright in the franchise system. In rare situations, the franchiser is merely a clearinghouse or territorial controller for the franchise network and therefore, this fee pays for the territorial grant. Do not confuse this with a governmental license to operate. Some state commissions do charge a franchise license fee or business license. This is strictly a franchiser franchisee issue and is defined in the franchise agreement. For the purpose of this article, the annual license is $1,000. Using the customer analysis as above, you will need an additional 1.5 customers per day to cover the license fee. The marketing/advertising rate has significantly less contribution to your store than the cost associated with the fee. You are in effect helping the franchiser promote the franchise name and the return on the investment is not there. The franchiser reaps more benefit from the marketing/advertising than the franchisee. If anything, it helps to sell the franchising program more than anything else. Most contracts carry about a 2% national campaign fee. It covers the website, internet marketing, national and regional advertising via television or radio. The fee allows for develop of campaigns including coupon types and prepaid cards. In addition to the national fee many franchise agreements get into local affiliate advertising. In simple terms, you are paying an additional amount to participate in a regional or community wide advertising program. A typical business gets themselves listed in the yellow pages; and this is an advertising cost customarily found in overhead. For this article, it is assumed that your sandwich shop is using the same programs and campaigns as the Mom & Pop shop. The 4% fee is strictly a franchise agreement cost. The fee formula was included in the Franchise Fee section above and the License Fee section. So the question is: How much more in sales do we need to cover the existing basis of $365,000 of gross sales plus the additional $65,825 of sales associated with the royalties? Remember, this marketing/advertising percentage is based on gross sales and not net sales. The reason for a contribution margin of zero is because our goal is to cover the cost of the marketing/advertising fee on the royalties from above. But to do this, we need sales and those sales have royalty fees too. Combined, we need additional sales of $63,828 ($54,076 to cover the marketing/advertising fee associated with the initial sales of $365,000 and $9,752 to cover the costs of marketing/advertising on the royalties for the net sales of $340,000). So, how many more customers do we need to cover the costs of M&A? We will need an additional 25.33 customers per day to pay for the marketing/advertising cost of the franchise agreement. If you haven’t figured it out yet, you are paying royalties on monies earned to cover the cost of the franchise fee, the licensing amount and the marketing/advertising costs. In addition, you must pay marketing/advertising costs on the needed sales to pay for the franchise fee, the royalties, and the licensing amount. It is referred to as circular math. But to grasp the entire picture, let’s look at the problem in its entirety. Difference is $187. I’ve tried several times to figure out where it is coming from but I can’t get it close because most likely it is related to the rounding to two digits on my divisors used above and using large numbers associated with sales causes this error at the end of the day. $187 isn’t going to break the bank when we are talking about $518,732 of sales. Someday when I have an extra four hours on my hands I’ll go to the third digit in my divisor and see if that is the reason. Total Customers to Cover Franchise Agreement Costs 61 PER DAY! Let’s think about this for a minute, you need 135 per day just to reach the same level as the Mom & Pop shop and as a franchisee you will need an additional 61 customers per day or around 196 customers per day. Go back to the introductory paragraph. 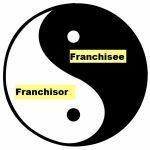 What is the primary reason to have a franchise? To have an increase in the net profit, you will need at least 197 customers per day. The franchiser is saying that he can increase your average customer count by at least 62 per day to cover the franchise costs and to BEGIN to add to the bottom line on your financials. That is about a 45% increase in the number of customers coming into your store to eat a comparable sandwich as the Mom & Pop in the same location. Do you really think this is true? Now look at the real costs of a franchise agreement. Sixty-one more customers per day will generate a lot more stress on the owner in exchange for no monetary gain. Do you want to gamble that using a franchise name will bring in 45% more customers per day over the Mom & Pop. To make matters worse, this is just to get to the point where you can begin to earn some money off the use of the franchise name. Given the nature of the risk, I find this highly unlikely. If anything, I would argue that the Mom & Pop can easily make this difficult just by serving a decent sandwich with a good old fashion smile and a ‘Thank you’. So if you are considering going into business via the franchise method, evaluate the true costs first. If you have any questions or need help in evaluating your situation, contact me via the comments section below. I’m here to help you. Act on Knowledge.